Robert A. Heinlein (1907-1988) is widely acknowledged to be the most important and influential American science fiction author of the twentieth century. He won science fiction's Hugo Award for Best Novel four times, and in addition, three of his novels were given Retrospective Hugos fifty years after publication. He won Science Fiction Writers of America's first Grand Master Award for his lifetime achievement. Born in Butler, Missouri, Heinlein graduated from the United States Naval Academy and served as an officer in the navy for five years. He started writing to help pay off his mortgage, and his first story was published in Astounding Science-Fiction magazine in 1939. In 1947, he published a story in The Saturday Evening Post, making him the first science-fiction writer to break into the mainstream market. 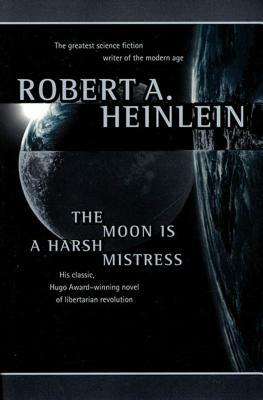 Long involved in politics, Heinlein was deeply affected by events such as the bombing of Hiroshima and Nagasaki and the Cold War, and his fiction tended to convey strong social and political messages. His many influential novels include Starship Troopers, Stranger in a Strange Land, The Moon Is a Harsh Mistress, and Time Enough for Love.